Since 1993, apart from brief periods of transition, the top leader of China simultaneously serves as the President, the leader of the party (as General Secretary), and the commander-in-chief of the military (as Chairman of the Central Military Commission). This individual then carries out different duties under separate titles. For example, the leader meets foreign dignitaries and receives ambassadors in his capacity as President, issues military directives as Chairman of the Central Military Commission, and upholds party rule through the office of General Secretary. The office was first established in the Constitution of the People's Republic of China in 1954 and successively held by Mao Zedong and Liu Shaoqi. Liu fell into political disgrace during the Cultural Revolution, after which the office became vacant. The office was abolished under the Constitution of 1975, then reinstated in the Constitution of 1982, but with reduced powers. The official English-language translation of the title was "Chairman"; after 1982, this translation was changed to "President", although the Chinese title remains unchanged. [d] Therefore the title "President" in this case does not mean the same as in the United States or other Presidential systems, but rather as an approximation in terms of its power compared with parliamentary systems. Between 1982 and 2018, the constitution stipulated that the president could not serve more than two consecutive terms. During the Mao era and also since 2018, there were no term limits attached to this office. According to the current Constitution of the People's Republic of China, the President must be a Chinese citizen with full electoral rights who has reached the age of 45. The President is elected by the National People's Congress (NPC), China's highest state body, which also has the power to remove the President and other state officers from office. Elections and removals are decided by a simple majority vote. According to the Organic Law of the NPC, the President is nominated by the NPC Presidium, the Congress's executive organ. In practice, however, the ruling Communist Party of China reserves the post of President for its current General Secretary. Like all officers of state elected by the NPC, the President is elected from a one name ballot. In the event that the office of President falls vacant, the Vice-President succeeds to the office. In the event that both offices fall vacant, the Chairman of the NPC Standing Committee temporarily acts as President until the NPC can elect a new President and Vice-President. Prior to March 2018, the President and Vice President were limited to two consecutive terms. However these limits were removed at the 2018 National People's Congress. Under the current constitution, instated in 1982 with minor revisions in later years, the President has the power to promulgate laws, select and dismiss the Premier (prime minister) as well as the ministers of the State Council, grant presidential pardons, declares a state of emergency, issue mass mobilization orders, and issue state honours. In addition, the President names and dismisses ambassadors to foreign countries, signs and annuls treaties with foreign entities. According to the Constitution, all of these powers require the approval or confirmation of the National People's Congress. The President also conducts state visits on behalf of the People's Republic. Under the constitution the "state visit" clause is the only presidential power that does not stipulate any form of oversight from the National People's Congress. As the vast majority of presidential powers are dependent on the ratification of the NPC, the President is, in essence, a symbolic post without any direct say in the governance of state. It is therefore conceived to mainly function as an symbolic institution of the state rather than an office with true executive powers. In theory, the President has discretion over the selection of the Premier, though in practice the Premier has historically been selected through the top-level discussions of the Communist Party of China. Upon the nomination of the Premier, the NPC convenes to confirm the nomination, but since only one name is on the ballot, it can only approve or reject. To date, it has never rejected a personnel nomination. Since the Premier, the head of government in China, is the most important political appointment in the Chinese government, the nomination power, under some circumstances, may give the President real political influence. For President Liu Shaoqi, he was also the first Vice Chairman of the Communist Party of China, ranked second in the Communist Party of China, behind Chairman Mao Zedong. For President Li Xiannian, he was also the 5th ranked member of the Politburo Standing Committee, after CPC General Secretary and Premier. For President Yang Shangkun, he was not a member of Politburo Standing Committee, but he ranked third after General Secretary Zhao Ziyang and Deng Xiaoping. Since Jiang Zemin, the President is also the General Secretary of the Communist Party of China, ranking first in Party and State. The office of State Chairman (the original English translation, as noted above) was first established under China's 1954 Constitution. The ceremonial powers of the office were largely identical to those in the current Constitution. The powers of the 1954 office differed from those of the current office in two areas: military and governmental. The State Chairman's military powers were defined in the 1954 Constitution as follows: "The Chairman of the People's Republic of China commands the armed forces of the state, and is Chairman of the National Defence Council (Chinese: 国防委员会)." The National Defence Council was unique to the 1954 Constitution, and was mandated as the civil command for the People's Liberation Army. It was abolished under the 1975 Constitution. The State Chairman's governmental powers were defined in the 1954 Constitution as follows: "The Chairman of the People's Republic of China, whenever necessary, convenes a Supreme State Conference (Chinese: 最高国务会议) and acts as its chairman." The members of the Supreme State Conference included the main officers of state, and its views were to be presented to the main organs of state and government, including the National People's Congress and the State and National Defense Councils. The Supreme State Conference was also unique to the 1954 Constitution. It was abolished under the 1975 Constitution and later Constitutions have not included a similar body. Mao Zedong was the first to hold the office of State Chairman. He was elected at the founding session of the National People's Congress in 1955. At the 2nd NPC in 1959, Mao was succeeded by Liu Shaoqi, first Vice Chairman of the Communist Party. Liu was reelected as State Chairman at the 3rd NPC in Jan 1965. However, in 1966, Mao launched the Cultural Revolution and by August 1966 Mao and his supporters succeeding in removing Liu from his position as party Vice Chairman. A few months later Liu was apparently placed under house arrest, and after a prolonged power struggle the 12th Plenum of the 8th Communist Party Congress stripped Liu Shaoqi of all his party and non-party positions on 31 October 1968, including the post of State Chairman. This was in violation of the Constitution, which required a vote by the NPC to remove the State Chairman. After Liu's removal in 1968, the office of State Chairman was vacant. From 1972 to 1975, however, state media referred to Vice State Chairman Dong Biwu as "acting State Chairman." When the 4th NPC was convened in 1975, its main act was to adopt a new Constitution which eliminated the office of State Chairman and emphasized instead the leadership of the Communist Party over the state, including an article that made the Party Chairman Supreme Commander of the PLA in concurrence as Chairman of the Party CMC. The 5th NPC was convened two years early, in 1978, and a third Constitution was adopted, which also lacked the office of State Chairman. The office was finally reinstated in the fourth Constitution, adopted by the 5th Session of the 5th NPC in 1982. The title of the office (guojia zhuxi) was unchanged in the Chinese text, but a new English translation of "President of the People's Republic of China" was adopted. In the 1982 Constitution, the President was conceived of as a figurehead of state with actual state power resting in the hands of the General Secretary of the Communist Party, Premier of the State Council and the Chairman of the Central Military Commission, and all four posts were designed to be held by separate people. The President therefore held minor responsibilities such as greeting foreign dignitaries and signing the appointment of embassy staff, and did not intervene in the affairs of the State Council or the Party. In the original 1982 Constitution plan, the Party would develop policy, the state would execute it, and the power would be divided to prevent a cult of personality from forming as it did with the case of Mao Zedong. Thus in 1982, China perceivably had four main leaders: Hu Yaobang, the Party General Secretary; Zhao Ziyang, the Premier; Li Xiannian, the President; and Deng Xiaoping, the "Paramount Leader", holding title of the Chairman of the Central Military Commission and was overall commander-in-chief of the armed forces. The current political structure of Vietnam is similar to the structure China followed in the 1980s. In the 1990s, the experiment of separating party and state posts, which led to conflict during the Tiananmen Square protests of 1989, was terminated. 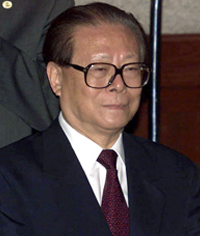 In 1993, the post of President was taken by Jiang Zemin, who as General Secretary of the Communist Party and Chairman of the Central Military Commission, became the undisputed top leader of the party and the state. When Jiang Zemin stepped down in 2003, the offices of General Secretary and President were once again both given to one man, then Vice-President Hu Jintao, the first Vice President to assume the office. In turn, Hu vacated both offices for Xi Jinping in 2012 and 2013. Under Xi, the term limits for the President were removed. This was widely interpreted as part of an expansion of Xi's power, effectively extending his tenure as China's paramount leader indefinitely. Xi explained the decision in terms of needing to align two more powerful posts — General Secretary of the Communist Party and Chairman of the Central Military Commission which are no term limits. Since the first president, seven had a spouse during term of office. ^ "Xi's here to stay: China leader tipped to outstay term". Daily Mail. 9 August 2016. "A lot of analysts now see it as a given" that Xi will seek to stay party general secretary, the country's most powerful post, said Christopher K. Johnson, a former CIA analyst and now China specialist at the Washington-based Center for Strategic and International Studies. ^ It is listed as such in the current Constitution; it is thus equivalent to organs such as the State Council, rather than to offices such as that of the Premier. ^ In Chinese the President of the PRC is termed zhǔxí while the Presidents of other countries are termed zǒngtǒng. Furthermore zhǔxí continues to have the meaning of "chairman" in a generic context. ^ a b Krishna Kanta Handique State Open University, EXECUTIVE: THE PRESIDENT OF THE CHINESE REPUBLIC. ^ "A simple guide to the Chinese government". South China Morning Post. Xi Jinping is the most powerful figure in the Chinese political system. He is the President of China, but his real influence comes from his position as the General Secretary of the Chinese Communist Party. ^ "China sets stage for Xi to stay in office indefinitely". Reuters. 25 February 2018. However, the role of party chief is more senior than that of president. At some point, Xi could be given a party position that also enables him to stay on as long as he likes. ^ "CPC proposes change on Chinese president's term in Constitution - Xinhua - English.news.cn". www.xinhuanet.com. ^ Constitution of the People's Republic of China, Articles 62, 63. ^ "Organic Law of the National People's Congress of the PRC". Retrieved 3 July 2013. , Article 13. ^ Constitution of the People's Republic of China, Article 84. ^ a b c "China approves 'president for life' change". BBC News. 11 March 2018. Retrieved 11 March 2018. ^ Constitution of the People's Republic of China, Article 62, Section 5. The NPC does no itself have the power to nominate the Premier. ^ Yew, Chiew Ping; Gang Chen (13 March 2010). China's National People's Congress 2010: Addressing Challenges With No Breakthrough in Legislative Assertiveness (PDF). Background Brief. Singapore: East Asian Institute. Retrieved 3 July 2013. ^ Weng, Byron (September 1982). "Some Key Aspects of the 1982 Draft Constitution of the People's Republic of China". The China Quarterly (91): 492–506. JSTOR 653370. ^ Mathews, Jay (4 March 1980). "5 Children of Liu Shaoqi Detail Years in Disfavor". Washington Post. Retrieved 12 March 2018. ^ "Li Xiannian: China's new president". UPI. 18 June 1983. Retrieved 12 March 2018. ^ Del Vecchio, Mark S. "Yang Shangkun elected Chinese president". UPI. Retrieved 12 March 2018. ^ "Jiang Zemin to have lower rank in Communist party". The Telegraph. 2013. Retrieved 12 March 2018. ^ Constitution of the People's Republic of China, 1954, Articles 40–42. ^ Constitution of the People's Republic of China, Article 43. ^ Constitution of the People's Republic of China, Article 44. ^ Cohen, Jerome Alan (1 December 1978). "China's Changing Constitution". The China Quarterly (76): 794–841. ISSN 0305-7410. JSTOR 652647. Events from the year 1962 in China. Events from the year 1967 in China. Events from the year 1969 in China. Events in the year 1970 in the People's Republic of China. Events from the year 1972 in China. The 2nd National People's Congress (simplified Chinese: 第二届全国人民代表大会; traditional Chinese: 第二屆全國人民代表大會; pinyin: Dì Èr Jiè Quánguó Rénmín Dàibiǎo Dàhuì) was in session from 1959 to 1964. It held four sessions in this period. The 3rd National People's Congress (simplified Chinese: 第三届全国人民代表大会; traditional Chinese: 第三屆全國人民代表大會; pinyin: Dìsān Jiè Quánguó Rénmín Dàibiǎo Dàhuì) was in session from 1964 to 1975. It held only one session in the ten years. 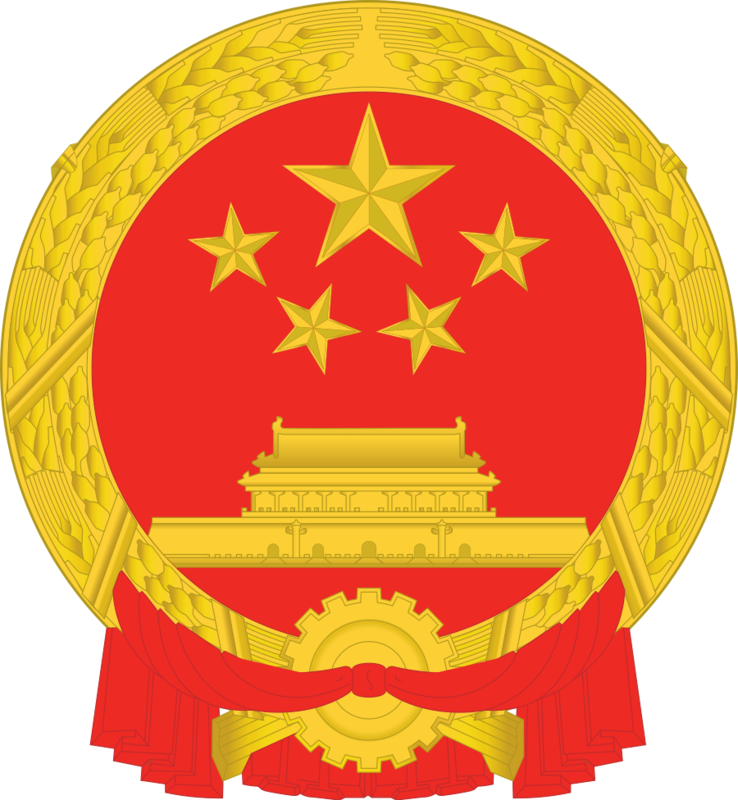 A List of Historical makeup of the Politburo Standing Committee of the Communist Party of China since 1927–present. The leader, now officially the General Secretary of the Central Committee (CC) of the Communist Party of China (CPC), is by right of office the Chairman of the Central Military Commission and the President of the People's Republic of China. Since its formation in 1921, the leader's post has been titled as Secretary of the Central Bureau (1921–1922), Chairman (1922–1925, 1928–1931, and 1943–1982), and General Secretary (1925–1928, 1931–1943, and 1982 onwards). By custom the party leader has either been elected by the Central Committee or the Central Politburo. There were several name changes until Mao Zedong finally formalised the office of Chairman of the Central Committee. Since 1982, the CPC National Congress and its 1st CC Plenary Session has been the main institutional setting in which the CPC leadership are elected. From 1992 onwards every party leader has been elected by a 1st CC Plenary Session. In the period 1928–45 the CPC leader was elected by conference, meetings of the Central Committee or by decisions of the Politburo. The last exception to this rule is Jiang Zemin, who was elected at the 4th Plenary Session of the 13th Central Committee in the aftermath of the Tiananmen Square protests of 1989. Currently, to be nominated for the office of General Secretary, one has to be a member of the Politburo Standing Committee.Despite breaching the party's constitution, several individuals (who are not included in the list) have been de facto leaders of the CPC without holding formal positions of power. Wang Ming was briefly in charge in 1931 after Xiang Zhongfa was jailed by Kuomintang forces, while Li Lisan is considered to have been the real person in-charge for most of Xiang's tenure. Deng Xiaoping is the last CPC official to achieve this; he never served as Chairman or General Secretary, his highest post being Chairman of the CPC Central Military Commission. Li Xiannian (pronounced [lì ɕjɛ́nnjɛ̂n]; 23 June 1909 – 21 June 1992) was the President of the People's Republic of China between 1983 and 1988 and then Chairman of the Chinese People's Political Consultative Conference until his death. Li was an influential political figure throughout the PRC, having been a member of the Politburo of the Communist Party of China from 1956. He rose to prominence in the Communist Party of China in 1976, when Hua Guofeng succeeded Mao Zedong as Chairman of the Communist Party of China. At the height of his career in the 1980s, Li was considered one of the most influential architects of China's economic policy after the Cultural Revolution, and is considered one of the Eight Elders of the Communist Party of China. To avoid confusion, all the names on this list follow the Eastern order convention (family name first, personal name second) for consistency.This is a list of the Presidents and other heads of state of the People's Republic of China. The office, called 国家主席 (Guójiā Zhǔxí) in Chinese, was created in 1954 when the 1st Constitution consolidated the system of government in the People's Republic of China. At the time, the title was translated into English as State Chairman. The position was abolished between 1975 and 1982 with the functions of head of state being performed by the Chairman of the Standing Committee of the National People's Congress. The presidency was revived under the fourth constitution in 1982. The Revolutionary Committee of the Chinese Kuomintang (abbreviated RCCK) is one of eight registered minor political parties allowed to superficially oppose the Communist Party of China within the People's Republic of China. It was founded in 1948 by left-wing members who broke with the main Kuomintang (KMT) during the Chinese Civil War, especially those who were against Chiang Kai-shek's policies. The party claims to be the true heir of Sun Yat-sen's legacy. By the end of 2017, it had 131,410 members. Its honorary chairperson Song Qingling served as Vice President of the People's Republic of China and Honorary President of the People's Republic of China. The chairperson Li Jishen served as vice chairman of the Central People's Government. Among the officially sanctioned political parties of the People's Republic of China, the Revolutionary Committee is seen as second in status to the Communist Party of China. Thus, the Revolutionary Committee is allotted the second highest number of seats in the People's Political Consultative Conference (30%). It also owns numerous assets, some formerly owned by the Kuomintang, throughout mainland China. The Revolutionary Committee operates a range of party-owned institutions, such as party schools. Rong Yiren (Chinese: 荣毅仁; Wade–Giles: Jung I-jen; May 1, 1915 – October 26, 2005) was the Vice President of the People's Republic of China from 1993 to 1998 and was heavily involved with the opening of the Chinese economy to western investment. Rong is known both in China and in the Western world as "the Red Capitalist" because his family were some of the few pre-1949 industrialists to have been treated well by the Communist Party of China in return for their co-operation with the government of the People's Republic of China. The Spouse of the President of the People's Republic of China, is the spouse of the President of China. To date there have been 7 women who have been married to the Chinese president while in office. Ulanhu or Ulanfu (23 December 1907 – 8 December 1988), also known by his Chinese name Yun Ze, was the founding Chairman of China's Inner Mongolia Autonomous Region, serving from 1947 to 1966. Ulanhu had the nickname of "Mongolian King" during his political career. He served as Vice-Premier between 1956 and 1966. He was purged during the Cultural Revolution but later reinstated. Between 1983 and 1988 he held the office of Vice President of the People's Republic of China. Ulanhu holds the distinction of being the highest-ranking minority official in PRC history, and became an icon of loyalty both to the Mongolian people and to the PRC. Except for the period of the Cultural Revolution, his family dominated the politics of Inner Mongolia. His son Buhe served as Chairman of Inner Mongolia for a decade, and his granddaughter Bu Xiaolin was appointed to the same position in 2016. The Vice President of the People's Republic of China (simplified Chinese: 中华人民共和国副主席; traditional Chinese: 中華人民共和國副主席; pinyin: Zhōnghuá Rénmín Gònghéguó Fùzhǔxí; literally: 'Chinese People's Republic Vice-Chairperson'; abbreviated 国家副主席; Guójiā Fùzhǔxí; 'State Vice-Chairperson'), formerly translated as Vice Chairman of the People's Republic of China from 1954 to 1975, is a senior position in the government of the People's Republic of China. Wang Qishan (Chinese: 王岐山; born 19 July 1948) is a Chinese politician, and the current Vice President of the People's Republic of China. Wang is one of the leading figures behind China's foreign affairs, along with Xi Jinping and Li Keqiang. Between 2012 and 2017, Wang had served as the Secretary of the Central Commission for Discipline Inspection, the Communist Party's anti-corruption body, and a member of the Politburo Standing Committee, China's highest decision making body. He was instrumental in carrying out General Secretary Xi Jinping's anti-corruption campaign since 2013.Wang gained prominence in China's financial sector in the late 1980s. In 1994, Wang became the Governor of the China Construction Bank. Wang then successively served in three regional roles: Vice-Governor of Guangdong, Party Secretary of Hainan, and Mayor of Beijing. Wang then served as Vice-Premier in charge of finance and commercial affairs under premier Wen Jiabao from March 2008 to March 2013, during which he also gained a seat on the party's Politburo. Wang Yeping (Chinese: 王冶坪; pinyin: Wáng Yěpíng, born February 12, 1928) is the wife of Jiang Zemin, former General Secretary of the Communist Party of China (de facto paramount leader) and President of the People's Republic of China (de jure head of state), and is a native of Yangzhou, Jiangsu.